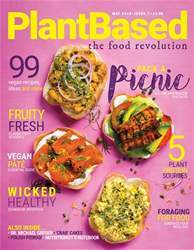 Digital Subscriptions > PlantBased > May 2018 > FANCY A BITE? 47-49 Castle Arcade, Cardiff, CF10 1BW Greazy Vegan were previously only set up as a pop-up takeaway, but have now secured a permanent location set to open in April in the Castle Arcade. Their food is described as “old fashioned takeaway food, ” and is the perfect weekend treat of cruelty-free junk food. All of the food on their menu is made using a variety of ingredients including seitan, tofu and soya, all seasoned to make deliciously indulgent food.